Scotty has a blogging goal and this week’s activity could help him achieve it. I am not sure how many of you have been out and about visiting other blogs and leaving quality comments. But that is the idea of this week’s game. Before you start, please make sure you have at least 5 other student blogs linked on the sidebar of your blog or in a recent post that your visitors can find easily. Make sure these are blogs from other students around the world, not just those in your class or school. Perhaps have a blogroll or link category called Global students or Global classes. Here is how to add a blogroll if using Edublogs or Blogger. If using Kidblog write a post mentioning at least 5 great blogs you enjoy visiting. Student and class blogs – new bloggers and old hands at the blogging – mentors as well as participants. This is a game we have run for many challenges and allows you to connect globally. Leave a comment on an interesting post at this third blog. Remember to include the URL of your blog, so that person can visit you as well. 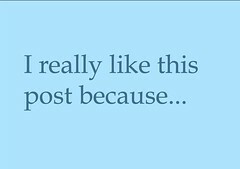 Write a post then write 5 great comments as part of the post – use some interesting comment starters for each comment. I had a lot of fun commenting this week! I added two of your posts to the flipboard magazine this week. They were about commenting and conversations. Great work! I would love to visit your personal blog but you didn’t leave the URL. I visited the link you included and they look like some great games. I played that game 5 times. They are all on my blogroll. Come visit my blog http://blogs.csdvt.org/marilynn/. Hi,My Name is Andrew I would really like people from other country’s and maybe even Mrs.W to comment on my Blog I would really appreciate it! My students love getting comments and I enjoy reading their posts! Thanks so much for all the great ideas. Keep blogging and commenting! Thanks for all the cool web tools to use in your sidebar. I am anxious to try these out. Thank you also for all your help with the Student Blogging Challenge. My students always look forward to Tuesdays, the day we have time in the computer lab to blog! You did really good I agree with you good job ! http://kmkaiser.edublogs.org/2015/04/27/ela-essay/ go to this page for a good essay. Thank you so much for mentioning me on this post. Hopefully this will make me have lots of traffic on my blog. I recently got an award in my school for communicating with lots of other people in blogging. I will keep commenting on other blogs as much as I will probaly will meet lots of people.